Another fairy tale from the fertile minds of the Department of Energy and Climate Change in the UK. No one apparently has told these turkeys that commercial carbon capture has never been done, is an engineering impossibility that is not worth doing anyway and exists only in the minds of bureacrats eco-nuts and those who will get the billions for research . 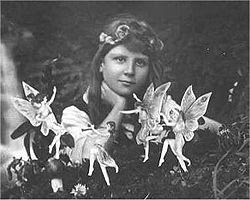 The picture is of the Cottingley fairies which are just as real as the Carbon Capture myth.The Unicorn declined to be photographed .How much cash does the UK have with all the billions being offered for one crackpot scheme after another. When are Uk voters going to say "Enough"
It is economic lunacy, shows the intelligence deficit at the DECC. The experiment of Carbon Capture was science fiction before it left the toilet paper it was formulated on, the real reason for tears is that the poor bloody taxpayer will be the one to pick up the bill. Have these dogmatic dullards in the Goverment (well they call it that, I call it a Marxist dictatorship) not a clue about science and those people or 'scientists' who advise them - did they advise the government about the NHS computerisation of Health records? Or give advice about Iraq's Weapons of mass destruction? Have they asked any engineers (who don't work for vested interests or HMG), because an engineer worth his salt would inform our Gov' that Carbon Capture is bonkers, much like all else this dumb government proposes - especially on AGW and it's so called solutions - there is no problem though anyway but thats another story. Recent reports from the World Future Energy Summit http://cleantech.com/news/5532/carbon-capture-and-storage-rebooting say that "speakers pointed to the maturation of CCS and many successful pilot facilities around the world. And they set the expectation that the industry is now ready to see production facilities built in large numbers." I appreciate your comments and I agree that carbon dioxide capture is an very expensive possibility but carbon storage is not. None of your references approach this problem. There is no engineering solution possible for permanently storing the vast amounts of CO2 produced by coal-fired power stations. "General Electric say the technology is ready now and I think they should know " can be translated to "give us the money". Engineering firms work for contracts and money and if Obama wants to give them billions to build the world's largest white elephant then that is what they will do. Underground injection of carbon dioxide for enhanced oil recovery (as by Dakota Gas see above) has been practised for decades. Currently about 57 million tonnes per year is injected worldwide. The Sleipner CCS project is operated by StatoilHydro. Around one million tonnes of CO2 is injected annually into a saline formation. Carbon is also sequestered at Salah, Algeria and Snøhvit, Norway. The IPCC say that over 99% of carbon dioxide sequestered is likely to be retained for at least 1000 years. A quick check of the CCS Association reveals that it is financed by vested interests or to use terminology a green would understand " big carbon" . 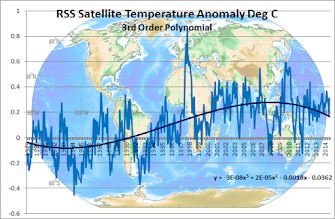 None of the above references can prove that carbon dioxide will stay where it is put when there are many reasons that it will not. It is a great scam to rip money off the dills of politicians and bureaucrats who are running things these days. 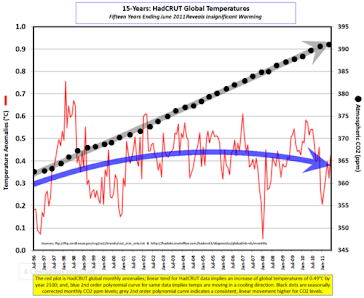 As for the IPCC statement that the CO2 will stay where it is for 1000 years it is absolutely untestable and is the same as predicting temperatures 100 years on - you can say anything.The IPCC is a political organisation which to my mind is completely discredited by posing alarmism as science and using falsified data to buttress it's "solid science". Well I am naturally sceptical too, good scientists and engineers have to be, but there is no denying that natural gas and oil have stayed put under cap rocks for millions of years, so why not carbon dioxide. Although I guess there are those who believe the world was created 4000 years ago along with the fossil record and the fossil fuel.